Flying from Luton Airport? Looking for the ultimate airport parking solution? Well look no further than Swift Airport Parking. This meet and greet service perfect for all types of traveller who are running to a tight schedule, weighed down by heavy luggage or just looking to add some VIP to their airport parking. No bus transfers are required with this meet and greet airport parking service. There’s no need to worry about your car while you’re away; it’ll be driven to a nearby secure compound by a fully insured driver. The car park features entry and exit barriers, 24-hour manned security, CCTV, perimeter fences and is the holder of the police accredited Park Mark Safer Parking Award.. This parking service operates throughout the year, seven days a week. Take the third exit at the motorway roundabout if you’re coming from the south and the first exit if you’re coming from the north. Ignore the sign that states "Short Stay Car Park Closed". Continue to Level 3 of the Multi Storey Car Park when you will be a member of staff. 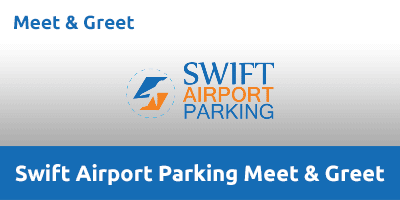 Call Swift Parking when you’re 40 minutes away from the airport. Drive to Level 3 of the Multi Storey Car Park and head to the Meet and Greet area. You’ll be met by a Swift chauffeur. Confirm your booking details and then take the short walk to the terminal building – your car will be parked in a nearby secure compound. Call Swift Parking once you have landed at Luton Airport. Head to the collection point – the same place you dropped-off your car on arrival. Your vehicle will be ready and waiting.